We have at last entered the age of robotics. Welcoming this new era, Tamiya presents the all-new robocraft series, introducing a line-up of products that feature a variety of form and movement. 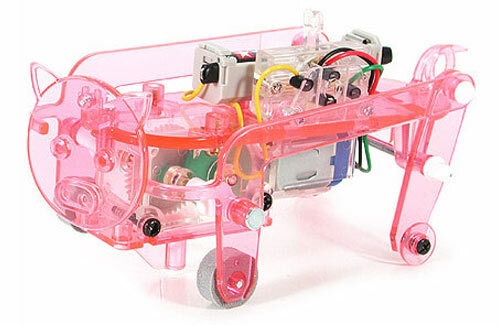 The first item of the series is a four-legged mechanical dog with various speed controls. 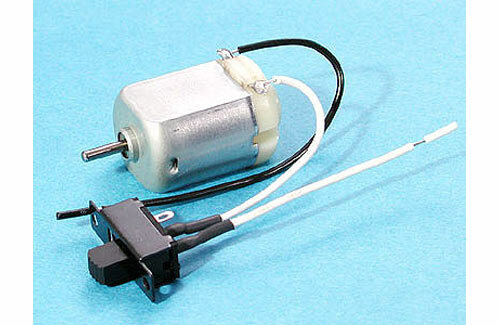 The dog walks by transferring motor revolution to reciprocating motion via crank and linkage rod. 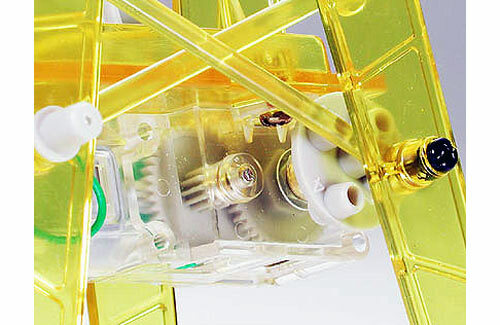 Main body and legs are made of transparent yellow parts to allow viewing of internal mechanisms. Construction is simple as parts can easily be attached with screws. Wiring has also been made simple. Tamiya presents the robot replica of the beloved kangaroo from Australia. 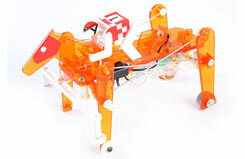 This amazing kangaroo-robot jumps by moving its rear legs simultaneously to go forward. When walking slowly, it also uses its front legs (just like they do down under) and when running quickly, it uses its tail for balance. 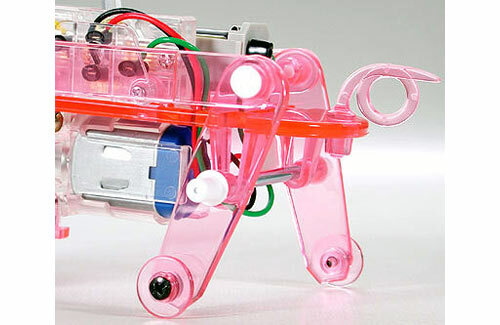 Legs and body on which the gearbox is mounted employ transparent-colored parts, giving the kangaroo a funky look. 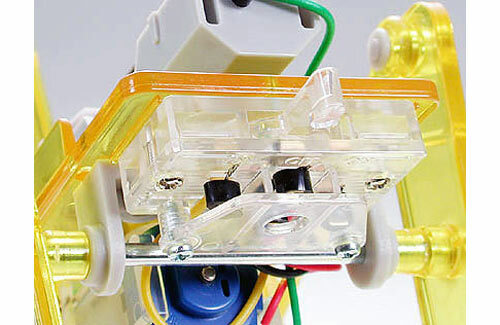 Reverse switch is also transparent, giving you a peek at the kangaroo's internal mechanisms. 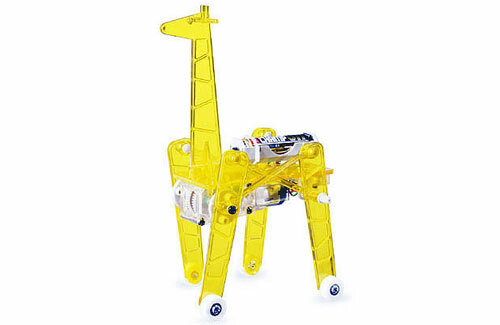 Tamiya presents its next Robocraft Series item, the 4-leg walking-type Mechanical Giraffe. 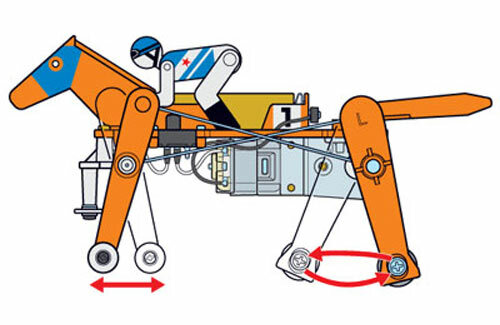 Motor rotating power is transferred to the legs via crank plates to make the Giraffe walk. The long neck and legs, which have been specially molded to replicate the unique motifs of the actual giraffe, and body on which the gearbox is mounted employ transparent-colored parts, giving the giraffe a funky look. 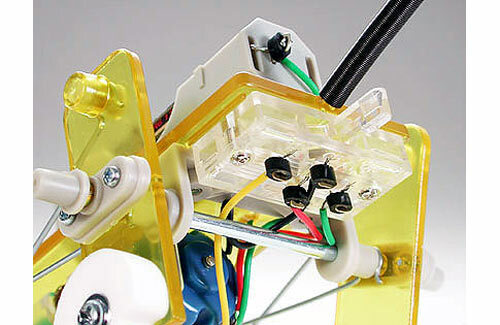 Reverse switch is also transparent, giving you a peek at the giraffe's internal mechanisms. 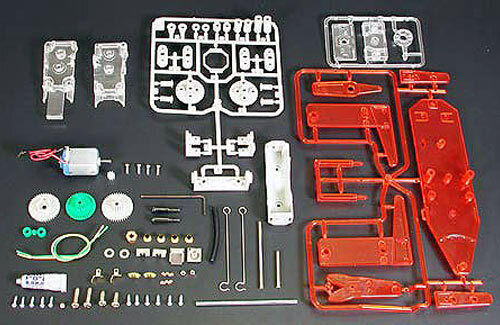 Assembly is very simple with use of screws and snap-lock parts. Introducing the 8th wonder of the Robocraft series! Get ready, because here comes a super fun to assemble, super fast, super colorful Mechanical Rabbit. 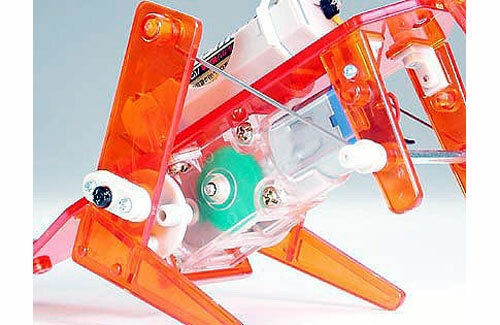 Motor rotating power is transferred to the legs via crank plates to make the rabbit hop. The long ears and the rounded face, which have been specially molded, employ semi-transparent parts, giving the rabbit a funky look. 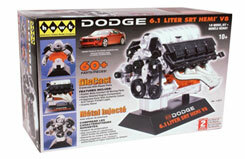 Assembly is very simple with use of screws and snap-lock parts. 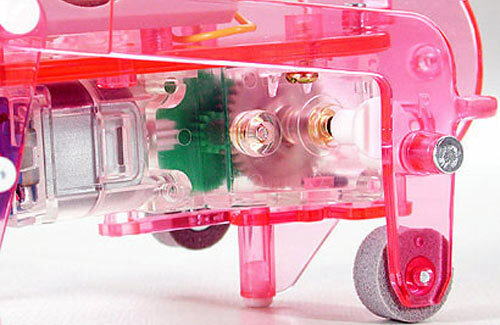 A see-through switch with pink transparent parts adds a cool, futuristic look. 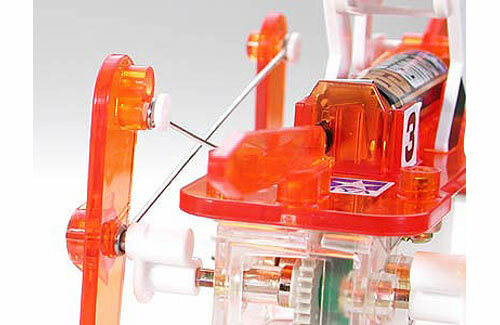 Moreover, this feature also allows you to see internal mechanisms. 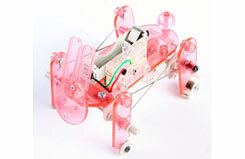 The Mechanical Rabbit is powered by only one R03/AAA/UM4 battery (sold separately) to keep this agile bunny light weight. 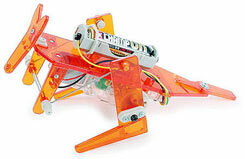 Motor and battery case have been shifted to the front of the body to allow for smooth, unhindered rear leg movement. 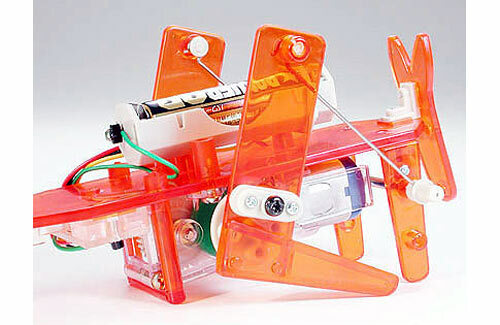 Motor rotating power is transferred to the legs via crank plates to make the rabbit hop. Rear legs kick the robot forward in a hopping motion similar to that of a...cute little bunny rabbit. 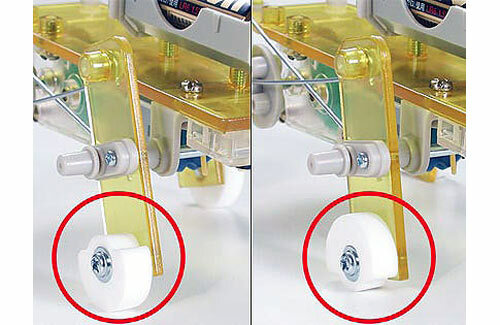 As more of the weight is born by the front legs, rollers are attached to the feet to eliminate this extra load. 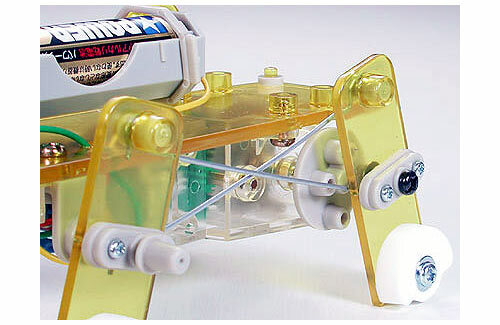 The mechanical rabbit comes with guides to be attached to both sides of the rabbit so it can be used on Mini 4WD circuits. You can race your friends. Caution: Run on flat, smooth surfaces. Avoid running over slopes, on bumpy roads or on thick carpet. Introducing the latest addition to the popular Robocraft Series, the Mechanical Pig with shaking head action. Pig's body and head parts have been molded with pink semi-transparent plastic, giving the pig a futuristic look. 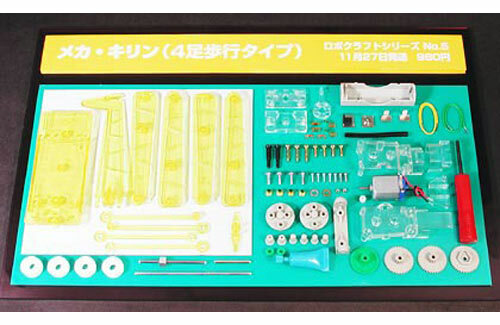 Assembly is very simple with use of screws and snap-lock parts. 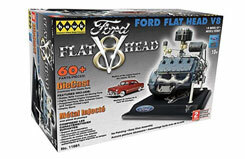 Run on flat, smooth surfaces. Avoid running over slopes, on bumpy roads or on thick carpet. The latest and fastest release in the Robocraft Series, this galloping racehorse with jockey is loads of fun to build, loads of fun to play with, and educational too! Employing left and right legs moving at the same time, the legs and wheel base have been designed for stability and faster running. Overall this galloping racehorse can run 1.3 times faster than the mechanical rabbit. 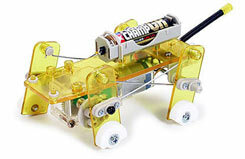 Power from the rotating motor is transferred to the legs via link rods to make the horse gallop. Two link rod holes on the back legs allow you to choose between two running styles. 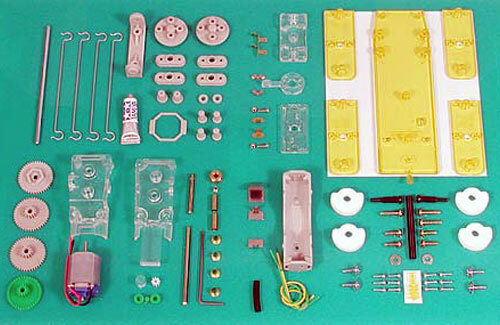 Assembly is very simple with use of screws and snap-lock parts. Cable ends are rubber capped with cut areas pre-marked for easy wiring. 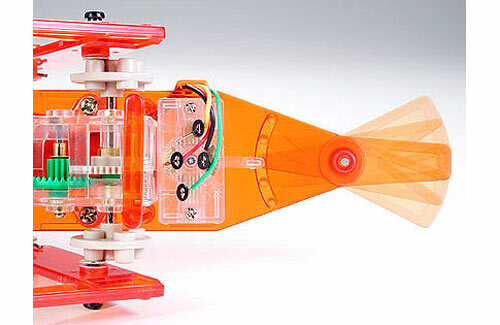 The mechanical horse is comprised of mainly transparent orange plastic allowing internal mechanics to be easily seen. 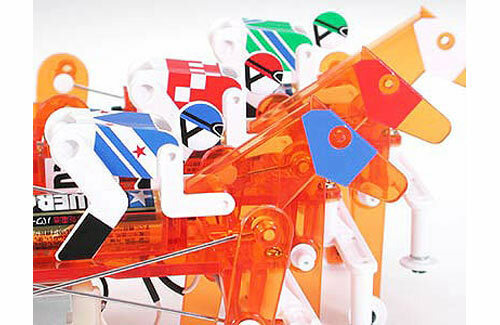 Kit includes 3 types of stickers for representation of horse's mask and number, and jockey's clothes to make each model easily distinguishable while racing with friends. Run on flat, smooth surfaces. Avoid running over slopes, on bumpy roads or on thick carpet. Get your engines ready! !............Build this muscle engine brute as found in the Dodge Charger STS. 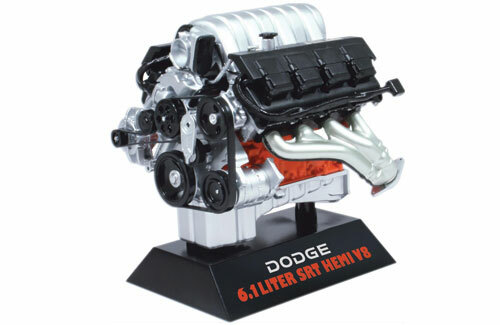 Get your engines ready! 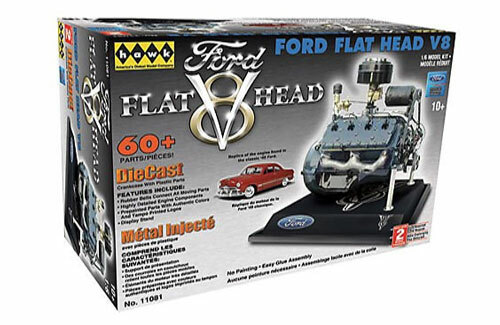 !............Build this Classic Ford Flat head V8 Engine with this stunning 1/6 scale plastic and diecast model kit.